Vancouver, BC – May 12, 2011. The British Columbia Real Estate Association (BCREA) reports that Multiple Listing Service® (MLS®) residential unit sales in the province declined 14 per cent to 7,187 units in April compared to the same month last year. 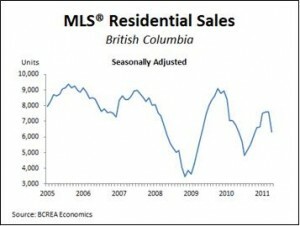 The average MLS® residential price climbed 16 per cent to $598,308 last month compared to April 2010. 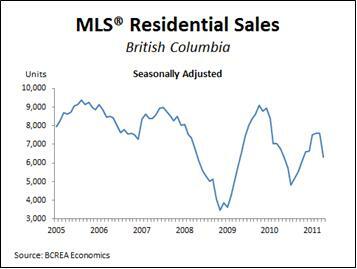 Year-to-date, BC residential sales dollar volume increased 14 per cent to $15.4 billion, compared to the same period last year. Residential unit sales edged back one per cent to 26,334 units, while the average MLS® residential price rose 15.5 per cent to $586,466 over the same period.